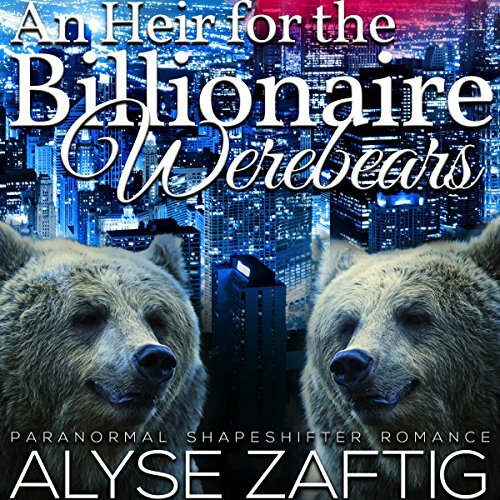 Showing results by author "Alyse Zaftig"
When Zeva leaves her school heartbroken because she can't afford to be in college any more, she runs into a complete stranger. She has no clue that Asher is about to change her life. Asher and Xavier are the heads of the local sleuth of bears. They have to produce an heir within the next two years or lose it all. Can Zeva help them, or will Asher and Xavier's evil cousin ruin everything in his quest for power? Allen McKane is crawling out from the ashes. After losing his wife in childbirth, he stopped caring about anything but business, staying in his private cave of grief and guilt and ignoring the son who looks too much like his dead wife. After a wake-up call in Singapore, he's finally moving forward, getting to know the son that he's neglected all these years. Slowly and surely, he's pushing past his grief and letting go of his tragic past. I love the Narrator voice!